Rosa Parks was born in the South at a time when African Americans were treated like second-class citizens. By refusing to accept the status quo, Parks sparked the Montgomery Bus Boycott and went on to become known as the Mother of the Civil Rights Movement. The well-organized chapters help students identify key details while the photographs, timelines and other text features encourage students to make connections between historical events and enable students to better understand the text. Continuing the story begun in The Bean Trees, this novel features the characters Taylor and Turtle as they witness an event whose repercussions will change their lives forever. I liked The Rosie Project (3.25/4). And, of course, I absolutely loved Me Before (4/4) You and After You (3.75/4). I just haven’t gotten to any of her others yet. Don’t know if I will but kind of want to. I loved The Rosie Project and Pigs in Heaven. I hope you do too! I hope you enjoy your new books, Stacy. 🙂 I am curious about Moyes books. Everyone seems to love them. I enjoyed The Rosie Project and One Plus One. I’m curious about the Rosa Parks book…and really want to read This Is Your Life, Harriet Chance. Enjoy! 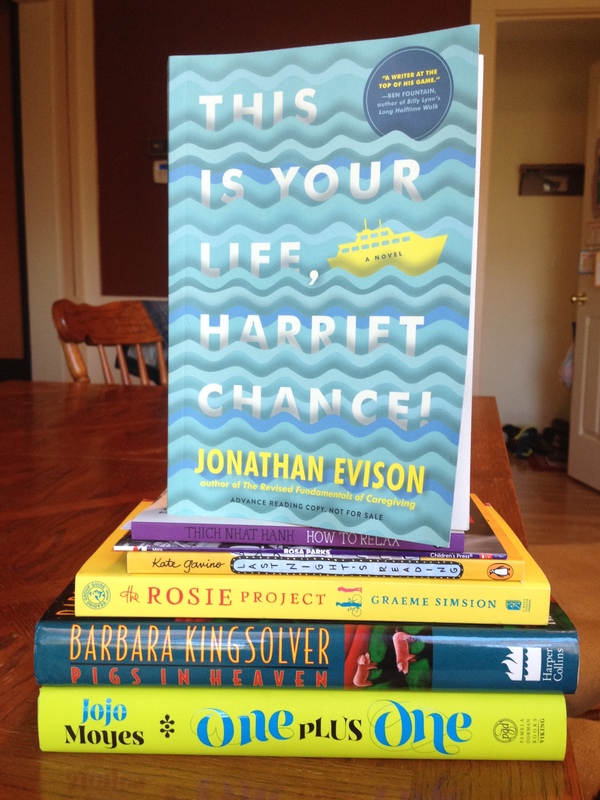 I am excited to read This is Your Life, Harriet Chance – looks terrific! I’m a Kingsolver fan and have Pigs in Heaven on my list too. So many good books! I remember enjoying the Kingsolver years ago, and Harriet Chance looks great. Enjoy. Enjoy them all Stacy – nice variety too.